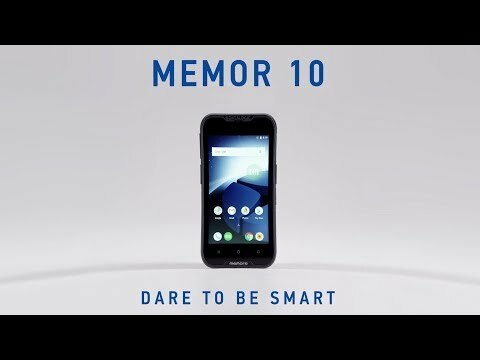 Memor™ 10 is Datalogic’s first device in a new family of rugged Android™ PDA devices, offering a slim and compact design while embedding the latest 2D barcode imaging technology for high performance scanning. The Memor 10 incorporates Datalogic’s industry first wireless charging system for ultra-reliable contactless charging while still offering a 1 piece swappable battery. Targeting Retail, Healthcare, Transportation & Logistics, and Manufacturing applications requiring a state of the art rugged Android device to automate their data collection needs. Being one of the first Google™ “Android Enterprise Recommended” devices in the rugged space, Memor 10 leverages a state of the art platform, while Datalogic backs it with a new service program tailored for its Android devices, offering peace of mind with regular security updates, guaranteed version upgrades and service and support for years after the end of its lifecycle. The “Android Enterprise Recommended” program is a Google-led initiative that helps businesses confidently select, deploy, and manage the Android devices and services best suited to their enterprise needs. Memor 10 customers are not just buying a hardware product, but entering the trusted and reliable world of Datalogic quality and proactive support on a global level! Datalogic Memor 10 mobile computer with 2D scanner. Version EU (Europe) with Wi-Fi a/b/g/n/ac, Bluetooth 4.2, LTE-Advanced/4G+; Cat 6, NFC, 5" Full Touch Rugged HD Screen, black, wireless charging, hot swappable 4,100 mAh (15.6 Watt-hours) battery, 1.5 meter drop to concrete, IP65, Android 8.1 with GMS, Porcessor Octa-core 2GHz, 3GB RAM / 32GB Flash, rear camera 13MP. In the box: Memor 10, battery, USB-C Cable, Hand Strap, User guide. Version EU (Europe) with Wi-Fi a/b/g/n/ac, Bluetooth 4.2, NFC, 5" Full Touch Rugged HD Screen, black, wireless charging, swappable battery, 1.5 meter drop to concrete, IP65, Android 8.1 with GMS, Porcessor Octa-core 2GHz, 3GB RAM / 32GB Flash, rear camera 13MP. In the box: Terminal, Battery, USB C Cable, Handstrap,User guide. Datalogic Memor 10 Pistol Grip mobile computer with 2D scanner. Memor10 1x slot wireless charging cradle. Equipped with cooling mechanism to preserve battery life. Compatible to Qi standard, charging power 10 Watts. !!! requires power supply 94ACC0197 and power cord EU: 95A051041 (for UK: 95ACC1213 ) !!! - Cannot charge battery separately. Datalogic Vehicle cradle x1 slot for Memor 10. In the box: x1 Cradle and 1x Cigarette lighter Power supply. Dataogic Memor 10 contact less charging dock. Single Slot. For usage in Healthcare environment. White Colour. Battery are charge by induction technology. Charger is equipped with cooling system to spare battery life. In the box: x1 charger, user guide. Can be added without any tools. Memor10 can be re-charge with the rubber boot on. It is necessary to have it on to install the pistol grip handle on the Memor10. The battery can be swap even with the rubber boot on. Designed to power your Memor 10 through the USB port. In the box: Power Supply with power cable from PSU to Dock. !!! Power line cord to be purchased separately EU 95A051041: UK 95ACC1213 !! !